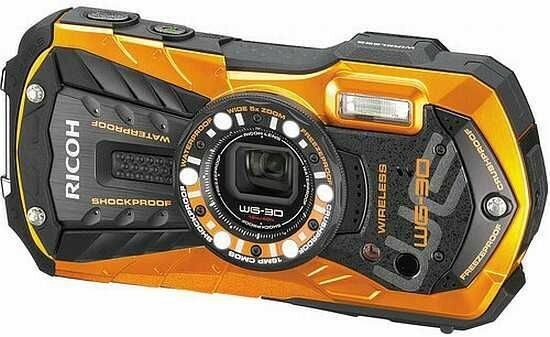 If you're on a bit of a budget and are looking for a compact camera which is simple to use but has all the benefits of being rugged enough for your family holiday, then the Ricoh WG-30 Wi-fi is worthy of your consideration. The best pictures it's capable of taking are when you're shooting in good light - which, if you're into skiing, visiting the beach, surfing and so on, you probably will be, so that's a good start. However, as a compact camera which you might want to use as an overall, or general, compact, image quality could be a lot better. Taking photos in lower light reveals that there's quite a large amount of detail lost when you move up the sensitivity scale, so it's best to avoid using it in low light if you can. It's good that there is inbuilt Wi-Fi, and while it's at first a little confusing knowing how to use it to its best ability, the fact that you don't need to install an app, and the amount of control which is afforded when using it remotely, make it better than many of the other Wi-Fi enabled cameras on the market. Although those who are little more advanced may find a lack of a semi-automatic or manual modes on the Ricoh WG-30 Wi-fi might find it frustrating, that's not really the intended audience. If you want some more control, then it's worth taking a look at something which is slightly more expensive, such as the Ricoh WG-5, which has a few more options. It's also shame that there's a lack of creative options on a camera of this kind. It would be nice to be able to experiment with digital filters, or to create panoramic images. Overall, the Ricoh WG-30 Wi-fi is a fairly capable camera if you keep it to good light, and basic tasks. For the price though, it makes for a good holiday or family camera for those who like a little adventure.